Due to the icy temperatures over the past few weeks, dandyhorse has heard a lot about frozen bike locks; as if Toronto cyclists don't have enough problems! We decided to speak some local experts to figure out what to do if your lock is frozen and how to prevent your lock from freezing in the first place. Some of our experts discouraged pouring hot water over already-frozen locks because in seriously cold weather, it might quickly create a layer of ice over and inside the mechanism of your lock. However, Jill Allen of Sweet Pete's says that it's perfectly fine to use hot or boiling water in an emergency-type situation as long as you are able to let the lock completely dry out in a warm place before leaving it outside again. According to our experts, one of the best preemptive measures you can take to prevent your lock from freezing is by using oil. Katheleen Banville of Urbane Cyclist says to avoid using WD-40 or similar oils but to go for your winter chain oil instead. Allen says to make sure whatever you use is wet oil, not dry and not thin, she suggests Phil Tenacious Oil or Finish like WET Lube. Chain oil is specially formulated for wet conditions and will displace water and stop it from pooling inside your lock. The experts suggest dripping the oil into into the keyhole then turning the key several times. If you're using a u-lock, you can also put a few drops of oil into the holes where the ends of the 'u' enter the lock. You can also use steel wool to remove any rust that may have built up on the ends of your u-lock to make the oil work more effectively. Banville says that oil could also help to unlock an already-frozen lock. Corner stores and hardware stores also sell commercial deicers, but you might as well just use chain oil if you already have some! ABUS locks are also tested to -40°C which is more than what can be said for it's leading competitors. Allen says that most of the Sweet Pete's team has switched over to the ABUS Futura Mini 64 or the ABUS Granit X-Plus 54 Mini specifically because they don't freeze. 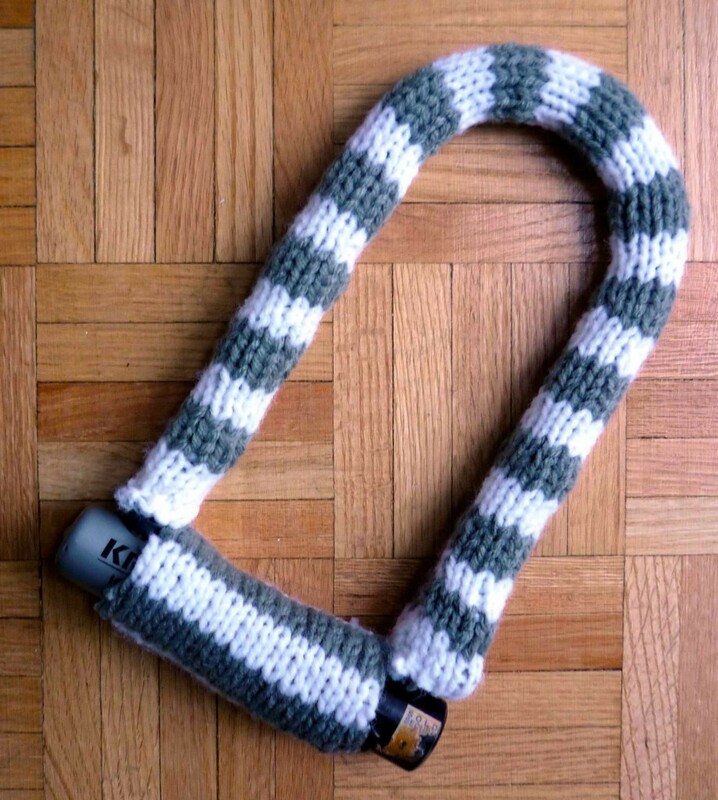 If all else fails, you could always knit or crochet yourself a u-lock cozy! It can help stop snow and water from entering your key hole and makes your boring-looking lock become far more attractive.